The book is of excellent quality. It is a little expensive (£83) , but Photobox regularly have half price sales so we suggest you register with them so you’re alerted when they have a promotion running. Some photos from the recent presentation of the Indefatigable Cup to TS Sikh SCC. All photos courtesy of George Tolly of TS Sikh SCC. 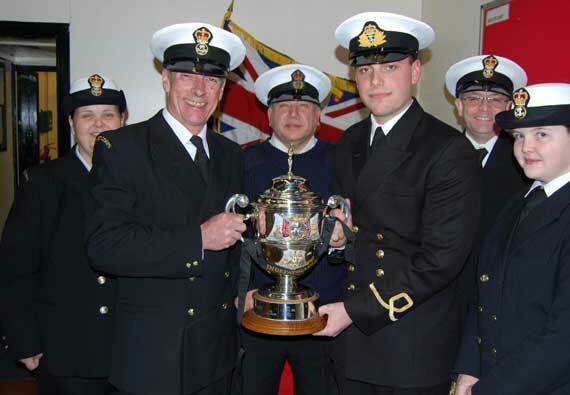 THE country’s second oldest sea cadet corp has won a cup for being the most improved unit. 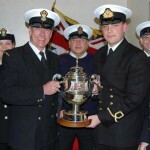 Beckenham and Dulwich Unit – TS Sikh SCC – was awarded the Indefatigable Cup for 2010 because it was judged to have made sustained progress throughout the year. Indefatigable School Old Boys Association chairman Colonel Bill O’Leary presented the cup to the unit at its headquarters in Kent House Road, Beckenham. He then took it back again because the trophy, once the Merseyside Navy League – Swimming Gala Trophy, is so valuable it has to remain at the old Indefatigable School (JSMTC) other than for the presentation. The winning unit, whose history goes back to 1913, will now receive a shield to keep.